Earthquake Prediction: 4.6R in INDIA! 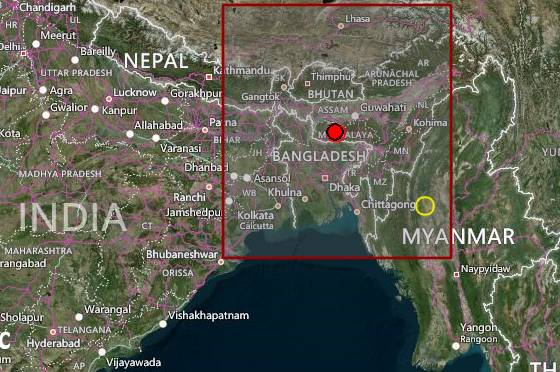 A 4.6R earthquake was reported this morning 35km West of Nongstoin, in India! What is interesting is, we were expecting an event in this area yesterday, (note that we have stated to keep the daily predictions for 2 days just in case), we predicted at (22.5N, 92.5E), in Manipur. We are off by 2-3 degrees here.